Scan your Top Business Listings Across the Web Absolutely Free Right Now! We will need a little more info to ensure we scan your business listing correctly. Don’t worry it’s FREE where other company’s charge $300 for this report. 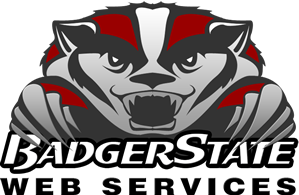 Badger State Web Services will ensure that your business listings are correct, consistent and visible across the web. Using this free scan audit tool, you can instantly check to see how your business is listed across the web. This free business listing scan tool will show you if you have inaccurate addresses, phone numbers, company name, duplicate listings, and more! Simply fill in your business information below and get a personalized business listing / Audit report within 30 minutes, absolutely free! A $300 Value. We can push your listings to all major data aggregators. Then search engines can find your locations information. In-turn customers can find you!